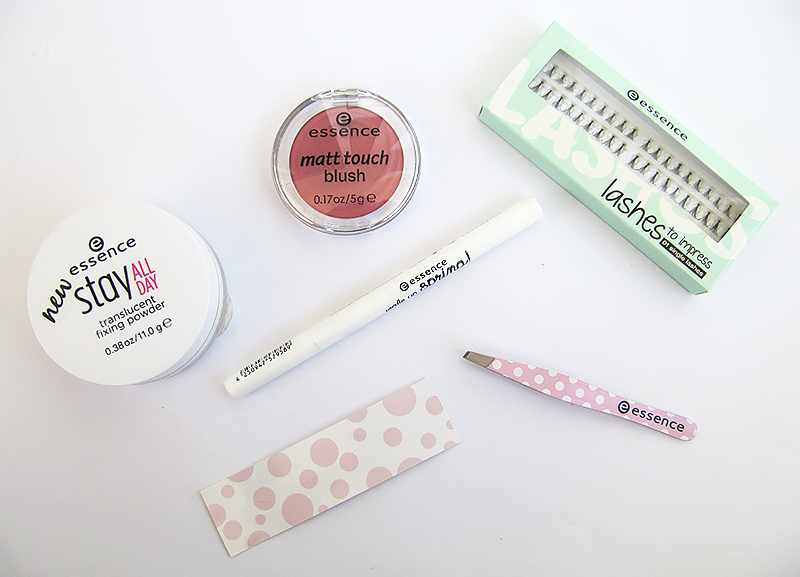 Let's talk about some new Essence products - Cherry Colors - Cosmetics Heaven! I haven't talked about Essence products in a while. So today I'll tell you a quick thing or two about the newly released products - not all of them, just some I purchased last month. :). 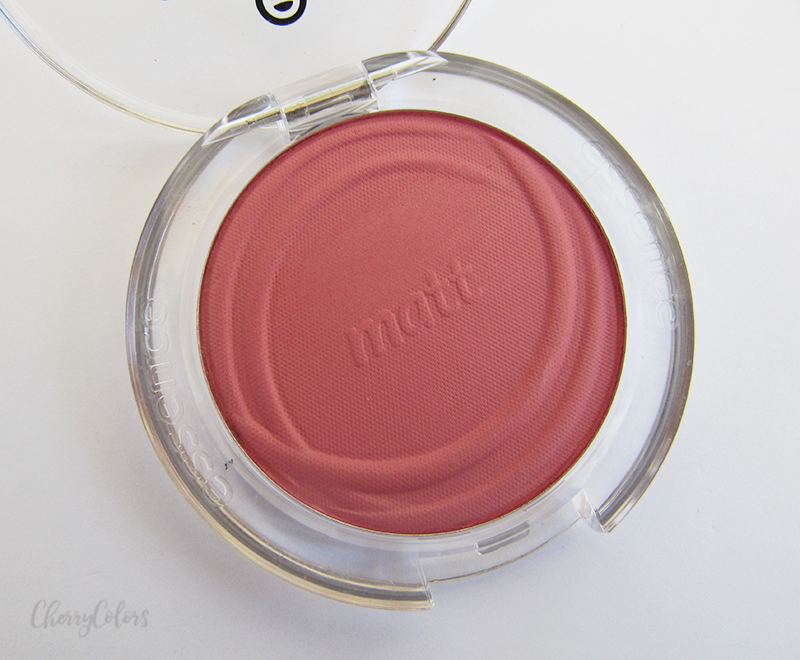 Dreaming of a natural and matte complexion that lasts all day? the ultra-fine stay all day translucent fixing powder remains invisible on the skin and sets the whole make-up without weighing it down. thanks to its translucent colour, the loose powder adapts perfectly to every skin tone without affecting the colour of the foundation. I prefer this version better than the previous one. Mostly because it leaves my skin feeling silky smooth and it doesn't cling onto dry patches as badly as others do. You get a lot of product for the price (about 4€) and it's easy to use with a kabuki brush or maybe a regular powder brush. I recommend it to everyone with oily skin. 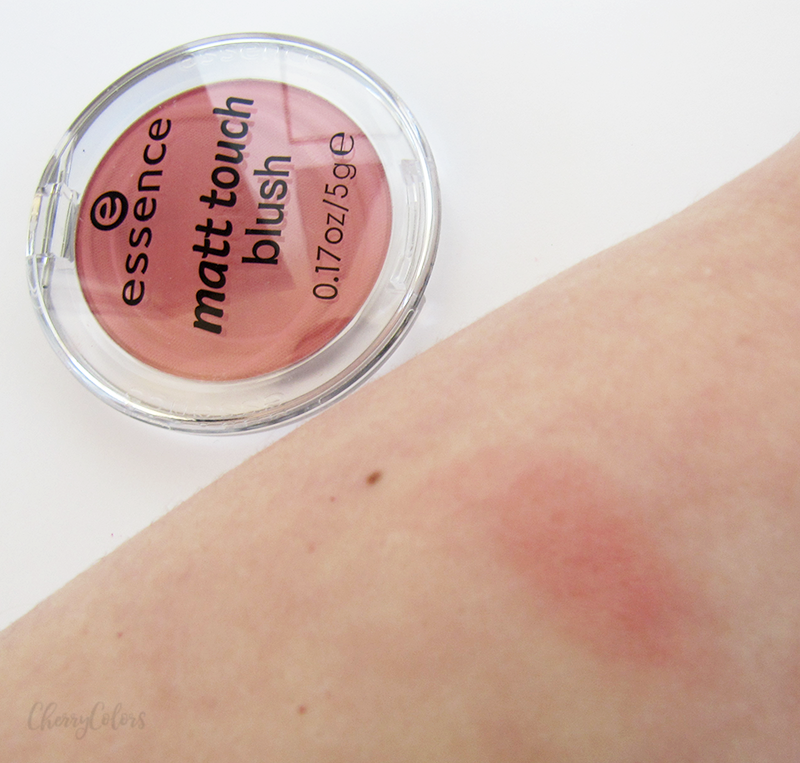 ESSENCE Mat Touch Blush in Berry Me Up! It's lovely but boy I dislike the disappearing trick! The price is about 2€ for 5g. Pastel lining. go for pastel eyeliner this spring. the fine felt-tip applicator with a long lasting texture and high coverage allow you to create sophisticated eyeliner styles in cool purple, trendy white and fresh mint. I always wanted to have a white eyeliner. 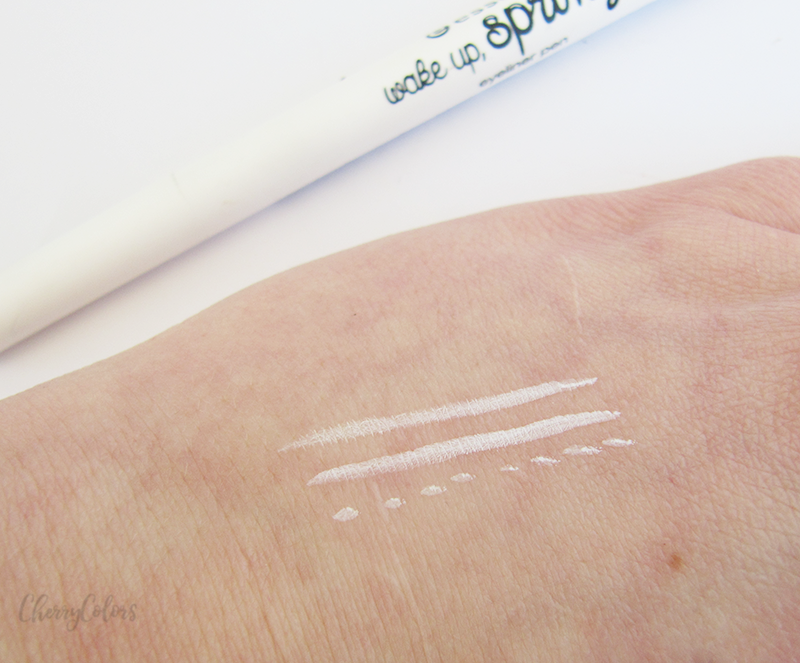 So many great looks have people created with a white eyeliner. *swoons* BUT of course you couldn't find any in the drugstores. Up until now that Essence released their own even if just for a TE. At first, I was disappointed because the pigmentation isn't fully opaque as I wanted it to be, but then I learned that you can pull out the felt tip and it's actually double sided! YAY. It's still not fully opaque in one swipe, but it's better than before. I'm sure that now that Essence did it, there will be slowly more companies who will copy this idea. I think that tweezers are one of those "must have" products that everyone needs. And Essence happens to have ok tweezers that you can sharpen after they lose their edge (in about 2 years). And these are also cute. Polka dot cute! Impressive, sweeping lashes are guaranteed with the lashes to impress! the false lashes are applied to the outer edge of your lashes to emphasize and add density to your own lashes. includes lash glue. I have some more expensive lashes and well, I wanted to try these because I don't want to feel under pressure to apply them perfectly or to be afraid to waste them (expensive ones!). Well, let me tell you something. These things are even better!! I may be biased because I'm not afraid of using them or wasting them, but I do like them. And you can re-use one piece up to four times. I recommend these to all the lash lovers out there! They were less than 3€. Such a steal! Also, they are lightweight and stay put the whole day. Totally popular and absolutely essential! 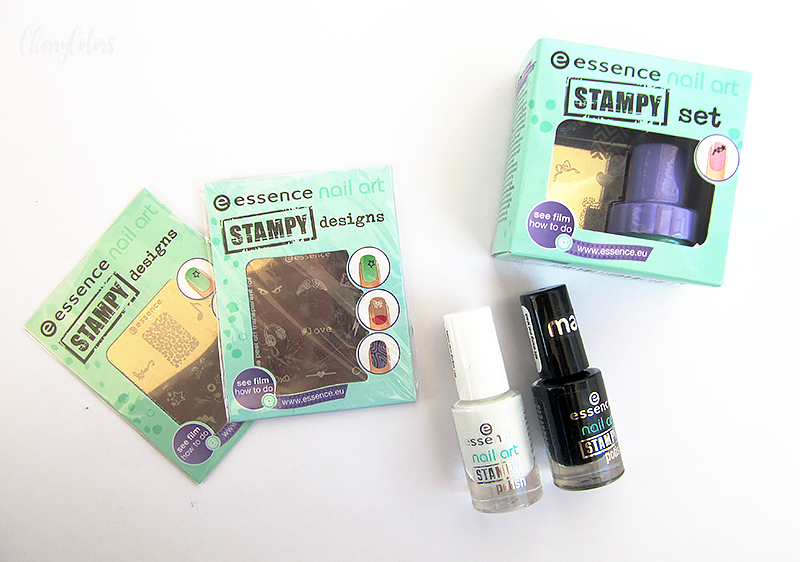 the stampy sets for unique nail designs are available with additional designs for even more variety and endless possibilities. I have a bunch of these plates by Essence. Some are etched nicely and deep while others aren't. But for the pricepoint, I think these are wonderful. And they do come out with beautiful new designs every so often. Create unique and extravagant nail styles with the nail art stampy sets. the sets contain a stencil with nine different images, a scraper, and a stamp. simply select an image and stamp on your nail with nail polish. conjures-up fascinating accents. These are one of the most affordable stamping polishes out there. But they do sadly come in just two basic colors which are black and white. However, you can use any metallic nail polish with your plates and they should work just as nicely as these. Did you get anything from the new line?